When you walk into our optical dispensary, you will find yourself in the midst of a variety of around 400 frame styles and sunglasses. Professional frame styling and personal attention assures that you have the best frame with the latest in lens technology to fit your needs. Our frames range in price from $45 to $300. If you are interested in the latest fashion trends, we have designers such as Nicole Miller and Christian Dior to keep you on the cutting edge of fashion. If your budget is a little tight, you can get a complete set of glasses including frames, lenses, scratch coating, and UV protection for as low as $79. You'll feel comfortable being seen in public even in our budget line. Try these great links for information on the newest Lens Options! If you hate thick prescription eyeglasses, try high index lenses. 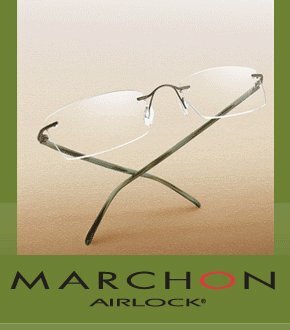 They offer superior optics in a thinner lens design. Bifocals and trifocals come in many configurations, depending on whether you sit at the computer all day, play golf, work on automobiles, etc. Here's what you need to know to choose the right bifocal lens or trifocal lens for your presbyopia. 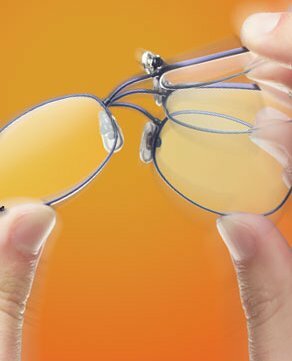 Progressive lenses can do everything a bifocal or trifocal can do, but without the lines. Here's how they work and why you should consider them if you have presbyopia. For non-glare protection that doesn't scratch! Includes a 2 year warranty against flaking, peeling, and scratching. Absolutely the best in the industry. Priced the same as antireflective coating with scratch coating (if that were available). Our patients love Crizal®... period! Photosensitive Lenses. Right in any light. They get dark when you go outside and return to clear indoors. Antireflective coating, UV coating, and scratch-resistant coating are options that make lenses more attractive and longer-lasting. 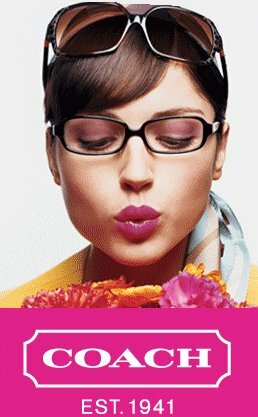 We explain how they work and why you should consider them the next time you purchase eyeglasses. The most impact-resistant lens material, polycarbonate lenses are also thinner than regular plastic lenses and are great for active people - especially kids.